TL-Ultralight has recently completed a series of test flights of the TL-3000 Sirius in the Czech Republic. The Sirius is a two-passenger, high-wing, carbon-fiber design powered by a 100-hp Rotax 912 ULS engine. It is being manufactured in the Czech Republic in versions for the U.S. and European markets, and will be distributed in North America by Sportair USA. Piloted by Jiri Tlusty, president of the company, the first Sirius is said to have demonstrated lively acceleration and responsive slow flight characteristics. The project was begun in 2006 and was introduced last year as a proof-of-concept at shows in Friedrichshafen, Germany, and at Oshkosh AirVenture. The production prototype is slated to be complete this summer, and tooling is underway for the first European production runs later this year. The SLSA version for the U.S. market will be ready in the first half of 2009, the company says. In keeping with U.S. SLSA standards, the Sirius is designed for a max gross weight of 1320 pounds with a useful load of 600 pounds and extended range with 30+ gallons of fuel. 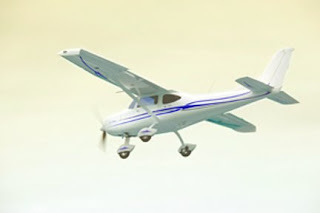 Standard equipment in the trigear will include a steerable nosewheel, toe-actuated disk brakes, adjustable rudder pedals and a ballistic recovery chute. For more information, visit Sportair USA.